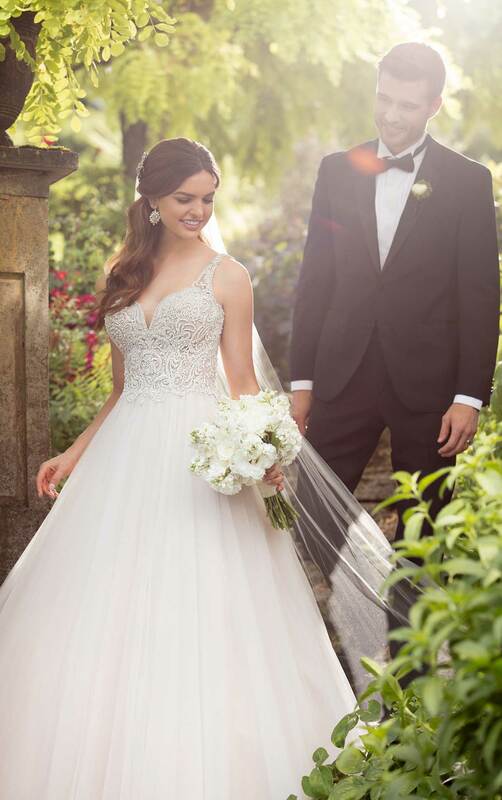 A modern take on a traditional silhouette, this updated ballgown has everything you need to make your fairytale wedding day come to life! 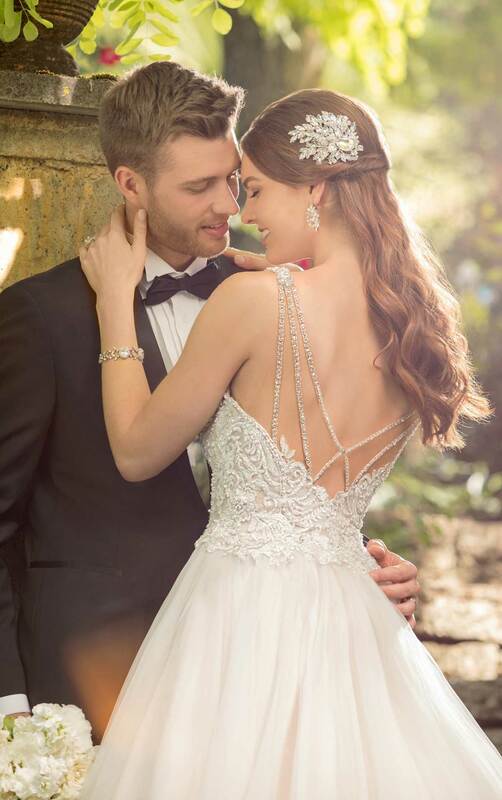 Truly the focal point of this wedding dress, the bodice of this gown is the perfect mixture of ivory and silver lace and pearl and silver beadwork, making this the perfect gown to twinkle the night away in. Complete with a sweetheart neckline, the bodice of this gown is accentuated with lace straps that feature enhanced beading, only adding to the glam factor. 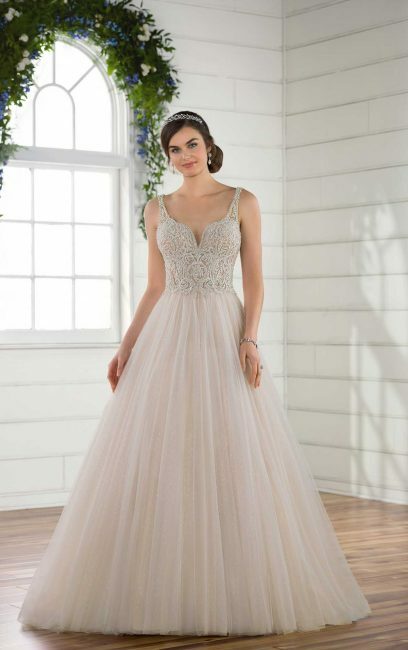 The full, tulle ballgown skirt extends effortlessly from the waist, extending to the ground beautifully. The back of this stunning ballgown features a beaded, strappy back – a style that’s completely modern and on trend. Looking to add a bit more sparkle to this style? The ballgown skirt is also available with a sequin underlay. 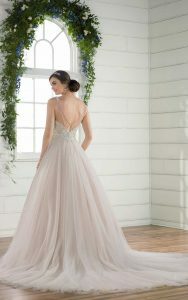 The back of this ballgown zips up beneath crystal buttons.